Have you ever wanted to back up your iPhone via iTunes only to find that the Apple iTunes “Back Up Now” greyed out on Windows? This essentially means that you cannot back up your personal data from your device to iTunes backup. From time to time, iPhone users who may wish to back up their devices on Windows 10 tend to experience iTunes backup greyed out on windows 10. This can be very frustrating especially if you want to restore your device or simply want to back up your device’s data on your PC. Fortunately, we are going to help you solve iTunes backup now greyed out windows 10 issues. The iTunes version could be outdated and can no longer enable syncing of your iPhone. Connecting your iPhone to the computer using a wrong port or incompatible USB cable. Un-updated iOS device can also cause the problem. Weak internet connection. Connect to a reliable network or a strong Wi-Fi connection. If you are experiencing iTunes backup now greyed out on windows 10, probably the iTunes version on your PC is outdated and is not compatible with your iPhone. Therefore, updating the iTunes backup on your Windows to the latest version can fix this problem. Step 2: From the menu bar found at the top of the iTunes window, click on Help > Check for Update. Step 3: Follow the steps to install the latest iTunes version. Sometimes, iTunes backup now greyed out on windows issue could be because of unknown reasons and restarting of both the iTunes and rebooting the computer itself could solve the problem. Step 1: Close iTunes first and then long press the Wake/Sleep button together with the Home button to shut down your device. Step 2: Wait for a few minutes and turn your device back on by pressing the power button. Step 3: Open your iTunes again. Step 1: Press the Windows key on your computer. Step 2: Find the Power button and click on it. 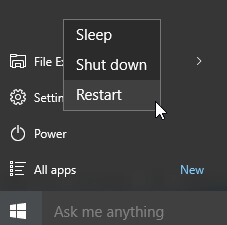 Step 3: Choose the Restart option. Once the PC restarts, launch the iTunes app and connect your iPhone to the computer using a compatible USB cable. If iTunes “Back Up Now” is greyed out on windows, this does not mean that you cannot back up your device completely. 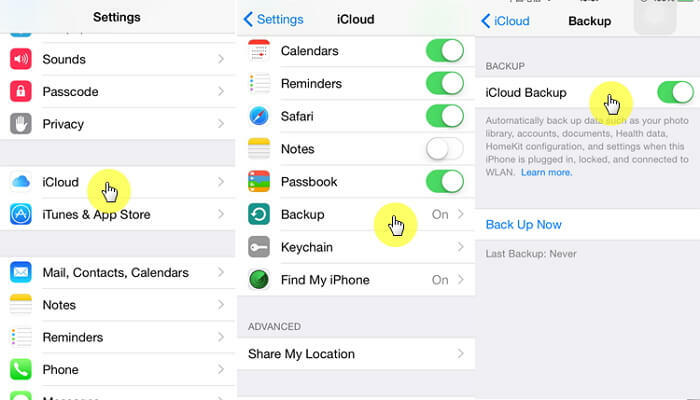 You can use the iCloud backup to back up your iPhone. Step 1: Connect your iPhone to a stable Wi-Fi network. Step 2: Launch the Settings app > Your Apple ID (your name) and then click on iCloud. Step 3: Click on the iCloud Backup. Step 4: Touch on Back Up Now and ensure that your device remains connected to the internet until when the process is complete. Step 1: Download and open the iMyFone iTransor on your computer. 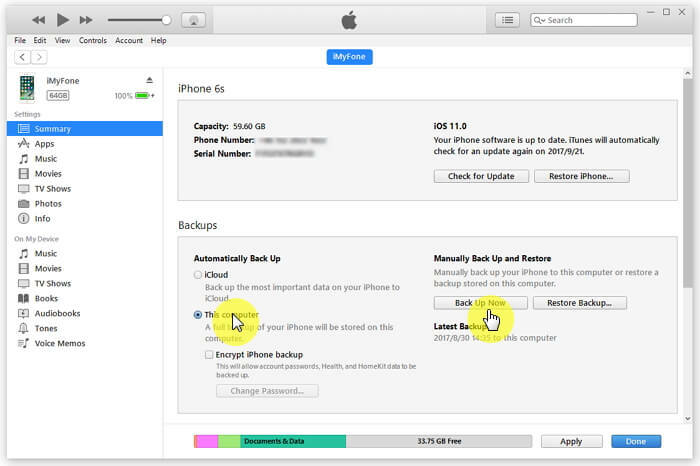 Click on Acquire Backup from Device & iCloud option located in the left panel of the program’s interface and then click on Back Up Device. Step 2: Connect your iPhone to the computer. 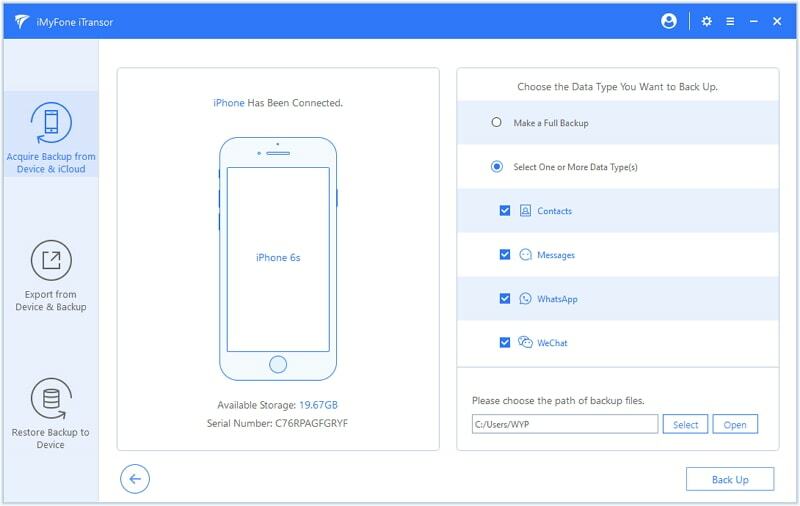 After discovering your device, you will see two options in the right column of the program’s interface: Make A Full Backup and Select One or More Data Types. Choose the appropriate option for you. Step 3: Click on the Back Up button for the tool to start the backup process. 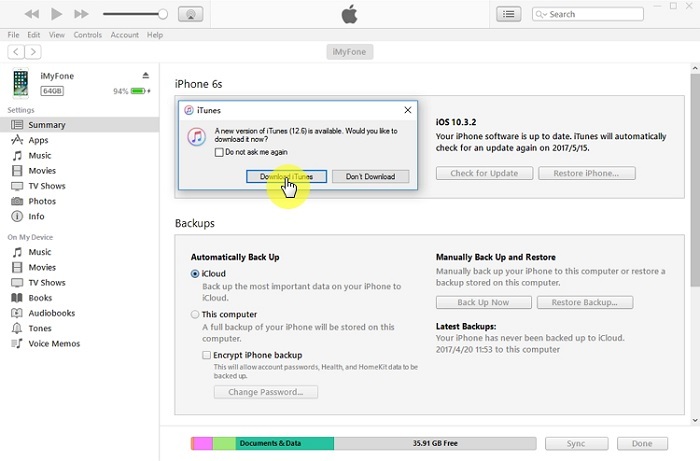 You will receive a notification once the process is complete and you can view and export the data from the backup on your computer or restore them to your device. If you want to back up your device on iTunes and see iTunes “Back Up Now” greyed out on Windows 10, you can try the above methods to fix the problem. However, it is highly recommended that you use other alternative ways to backup your iPhone. This will ensure that you do not go through the same experience again once iTunes “Back Up Now” is greyed out on Windows. Feel free to leave your comments.